believer and executor of data-centric, metrics-driven engineering development math/science ==> profitable product deliver; deliver; deliver. Specialties: 1) c++ / java / perl / python 2) search / search advertising platform (E2E) / hadoop / data pipeline / linear optimization / solr / lucene 3) no life, when I am at work; 4) no work, when I am enjoying my life. 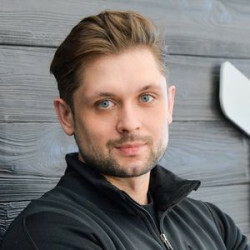 Peter Szulczewski is currently the CEO of ContextLogic and previously a coder at Google, Microsoft, ATI, and Nvidia. Wish, the stealthy e-commerce company that's challenging Amazon, has filed to raise a new round of funding, according to a Delaware filing posted by research firm CB Insights. A person familiar with the round told Business Insider that's the round is almost closed and could be announced within the next few months. The Delaware filing does include a nice deal sweetener, however. A provision in the Delaware filing cites that investors in the current get special liquidation preferences. These types of preferences are not uncommon, but are a concession by the company — Wish wouldn't offer these terms if it didn't think it was necessary to raise these funds. According to the Oct. 24 filing for its parent company ContextLogic, the company has authorised new shares to be sold, although the size of the round, investors, and valuation are not disclosed. That means if Wish sells for less than it’s valued in this round, the latest investors will get all of their investment back before any earlier investors see a penny. These types of preferences are not uncommon, but are a concession by the company — Wish wouldn’t offer these terms if it didn’t think it was necessary to raise these funds. 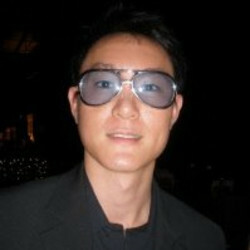 The company has reportedly previously raised close to $600 million and been valued at $3 billion or more by investors. NOW WATCH: Tech Insider videosBusiness Insider Emails & Alerts Site highlights each day to your inbox. Share On email Share On emailShare On link Share On link Share This LinkShare On facebook Share On facebook ShareIn 2011, after several years of courtship, they agreed to tie the knot, joining forces to become Silicon Valley’s gatekeepers to Asia. Share On email Share On emailShare On link Share On link Share This LinkShare On facebook Share On facebook ShareFormation 8 started, as many a Silicon Valley scheme does, with a lot of hype. Share On email Share On emailShare On link Share On link Share This LinkShare On facebook Share On facebook ShareJohn Koo, Brian’s father, was chairman of Formation 8’s strategic advisory board. “We just cannot screw up with Peter,” Lonsdale would tell Koo, according to someone with direct knowledge of the matter. “Joe and I,” he has said, “just married too fast.” Share On email Share On emailShare On link Share On link Share This LinkShare On facebook Share On facebook ShareWilliam Alden is a business reporter for BuzzFeed News and is based in San Francisco. I don’t think people are comfortable with buying a $5,000 TV on their phone. If you’re interested in e-commerce or want to understand merchants in China particularly, this is a must-read. Szulscewski and his cofounder, Danny Zhang, realized they were “pretty bad at business development,” though, so eventually pivoted to Wish. Wish began as an app that asked people to create wish lists, then the company approached merchants, letting them know a certain number of customers wanted, say, a certain type of table. On the merchants Wish works with and the types of merchandise it sells:“We thought that being more relevant and showing the right recommendations would be critical; what we didn’t predict was the types of products and the types of merchants. When a young Steve Jobs and Steve Wozniak decided to start their business, they needed someone who actually knew how to do business paperwork. Did you know that the oldest retailer in the United States is Brooks Brothers, which has been in business since 1818? The National Association of College Stores estimates there are 4,500 to 5,000 stores targeted toward college students, selling school supplies, course materials, logo merchandise and snacks. Did you know that, despite the proliferation of retail coffee shops, most cups of coffee aren’t enjoyed in these establishments? Did you know that the top shopping apps over the 2015 holiday season were the same in both the United States and the United Kingdom? [email protected] published as The best Christmas shopping apps “I’m hoping we’ll see it shift this Christmas,” Ms Slessor said. Here are some of the best mobile shopping apps this season:1. THE ICONICAustralia and New Zealand’s fashion shopping app is going strong, with more than 700 brands represented, and more than 200 new products added every day. ASOS“It’s not new, but ASOS is still the go-to for anything fashion related,” Ms Slessor said. The Apps that Won Black FridayUsing App Annie Store Stats, we examined which retail apps ranked highly on Black Friday in the US and UK across iPhone and Google Play. In the UK, Wish continued its ascent and ranked the highest retail app during the weekend after Black Friday. What This Means for RetailersWhile the data shows top retail apps gaining more traction in the run up to Black Friday, this isn’t the end for brick-and-mortar sales. The National Retail Federation stated that more than 151 million people shopped online and/or offline this weekend — with over 103 million shopping online this Thanksgiving weekend. While Black Friday and Cyber Monday featured impressive app downloads, many users may already had the previously mentioned apps on their devices for some time. Zenefits raised $500M at a $4.5B valuation in May 2015, after raising $66.5M at a $500M valuation in June 2014. We looked at all still-private unicorns that raised equity funding at a disclosed valuation in 2015 and 2014 to see which have seen the largest increases in valuation this year. On a pure dollar basis:The largest valuation increase was for AirBnB, which gained $15.5B in value, when it raised $100M at a $25.5B valuation in November 2015. Uber saw the second-largest valuation increase at $11B, going from $40B in December 2014 to $51B in July 2015. Palantir saw the third-largest valuation increase at $10B, going from $15B in December 2014 to $25B in October 2015. Hey kids, there’s a new personalized shopping platform in town. “Engagement increased over 2013 as we increased the relevance of our recommendation system,” Wish co-founder Peter Szulczewski says, referring to the startup’s promising growth. Since it raised $1.7 million in angel funding, ads recommendation system ContextLogic has put its ads optimization technology to good use in a wishlist-making app called Wish. “We consider these huge wins and proof that our approach is working.” He believes that after improvements in the relevance of Wish’s recommendation system, the startup is growing faster than Pinterest, Twitter or Google. Glittery peacock cases are nice and all, but clicks sometimes fail to capture what exactly the heart, well, wishes. “We take it very seriously, as seriously as Google took their search quality,” Szulczewski said. Its algorithm uses a topic hierarchy to better break down what people actually are looking for or find interesting. 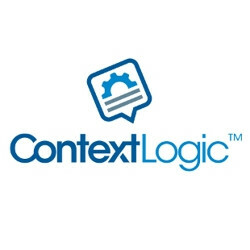 Right now the stealthy ContextLogic is working on using machine learning and NLP to leverage information context in order to increase relevancy of advertising as well as content. Basically its like an AdSense on steroids, that can be applied outside of Google to anything from ads to content like tweets, Facebook profiles and text messages. “Our technology makes information discovery fully automatic so in a way it will be serendipitous, but also highly personalized.